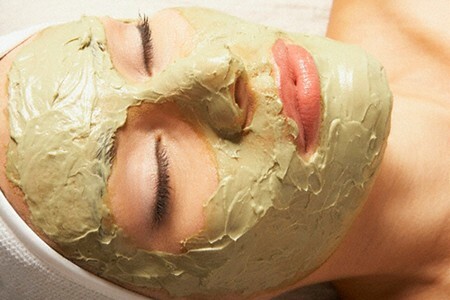 Fuller’s earth, also known as Multani mitti, is extremely useful for skin. It works a natural antiseptic and improves blood circulation. Plus, it helps cleanse and revitalize your skin. It is considered particularly good for oily skin as this highly absorbent substance removes excess oil from the skin, tightens the pores, clears acne, and smoothes out wrinkles naturally. This mineral clay is rich in iron oxide, calcium oxide, silica, magnesia, alumina, and lime. Fuller’s earth is not usually recommended for dry and sensitive skin. • Prepare a mud mask for summers by adding equal amounts of fuller’s earth and dried mint powder in a tablespoon of plain yogurt. Leave the recipe aside for half an hour. Finally, spread the paste on your face and neck. Wash it off with lukewarm water after 20 minutes to heal sunburn, blackheads, and patchy skin. Follow this home treatment two to three times in a week. • Applying a paste prepared from fuller’s earth, rose water, and a little plain water is useful for curing acne, pimples, and blemishes. • Using a combination of fuller’s earth and orange juice helps maintain soft and glowing skin, free of acne. You can also mix sandalwood powder, lime juice, tomato juice, or cucumber juice in fuller’s earth to lighten the skin color, remove blemishes. • When dealing with acne scars, make a mixture of fuller’s earth, margosa leaves (neem), and water. Apply this paste on your face and rinse off when it dries. Follow this natural remedy regularly for at least 15 days. Here’s a video showing how to make a DIY rose water, honey, and fuller’s earth mask for oily, acne-prone skin. • Exfoliate your skin and tighten the skin pores by applying a mixture of two tablespoons of fuller’s earth, two tablespoons of bread crumbs, and two teaspoons of lemon juice. You may also add a little water to make a paste. Leave this mask on your face for about 15 minutes and then rinse it off. • Soak 6-8 almonds in water overnight. Next day, peel their skin and grind them. Mix this paste with oatmeal and fuller’s earth. Leave it on the skin for about 10-15 minutes and then wash it off to get rid of pimple marks and dark spots. • You can prepare a hair mask by mixing three-fourth cup of curd (preferably sour), two teaspoons of lemon juice, and three teaspoons of organic honey in two cups of fuller’s earth. Apply the paste on your hair and leave it for about an hour or so. Finally, rinse your hair and shampoo and condition as usual. This hair care recipe is highly beneficial for reducing dandruff. It also helps maintain lustrous locks. • To make your hair shiny and improve their quality, soak fuller’s earth in water and set it aside for a couple of hours. Next, add a little more water in it and apply the mixture on your hair and scalp. You may mix aloe vera gel as well to make it moisturizing. Finally, wash it off after it dries. Besides, you can apply a combination of half a cup of fuller’s earth and three tablespoons of apple cider vinegar to remove excess oil and grime from greasy hair. Thanks so much for the tips! 🙂 Keep up the good work! This face mask is very effective.